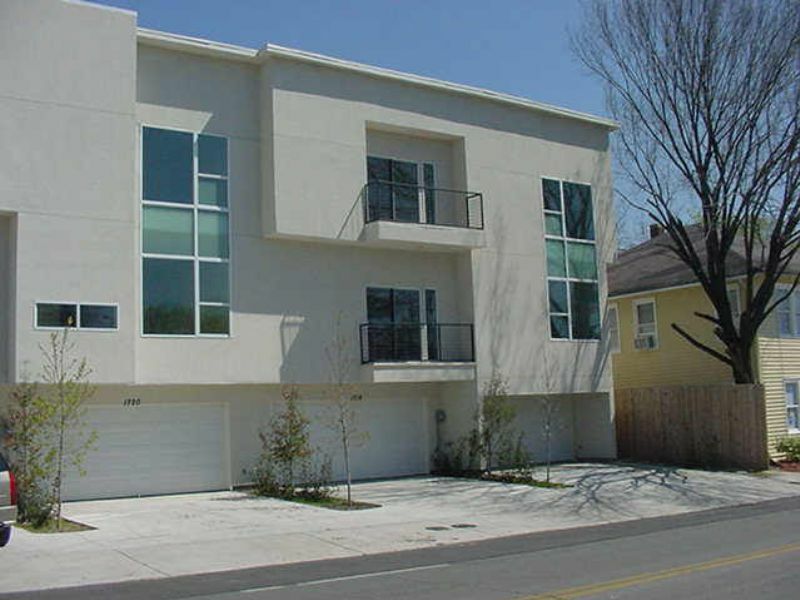 Residential Rental Listing 1 bed 2.5 bath in Dallas, TX. Contemporary tri-level townhouse with 2 car attached garage & washer/dryer connections in the entry way closet.Ceramic tiled entry & bathroom. Stucco exterior with 10' ceilings. Island galley kitchen with granite countertops, stainless steel appliances, Jacuzzi tub & separate shower, recessed lighting, metal rails & balcony. Blond bamboo hardwood floors & berber carpet. Large windows & ceiling fans.